Were you in a car accident recently? If You Were Hurt in a Car Accident, You Absolutely Need To Know These 4 Things. Did you suffer injuries or physical or emotional pain? Did you think you were okay at the accident site, only to go home and experience discomfort or a developing injury at a later time? Are you unsure of how to move forward and to get the assistance you need to be as whole as possible again? 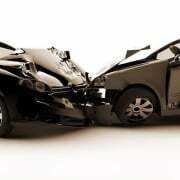 If you have been involved in a car accident, then read on to learn the top four things you need to know as you proceed in the aftermath of what often is a shocking and painful situation. It doesn’t matter if someone didn’t mean to hurt you. 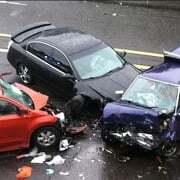 The bottom line is that when a car accident happens and you get hurt, the other driver could be responsible. There are professionals who can assist you along the way, but first you need to know where to start in the process. Here’s exactly what you need to know to get help following a car accident where you or a loved one got injured. The attending police officer will gather information from both drivers, but it’s important for you also to do your own investigation. Make sure you have the contact information of the other driver. Take photos of the damage to both cars, if any. Take photos of the accident site, and note the roads where the accident happened. All of this information will be very valuable to you as you move forward. Sometimes you don’t realize you have been hurt until much later. Internal injuries that are not noticeable to the eye happen all the time in serious car accidents. You may find that you wake up the next day with severe shoulder or back pain. On the day of the accident, your body may have been overcompensating with a rush of adrenaline, but you can almost count on some kind of physical pain following a serious car accident. It’s important that you cease to discuss the accident with the other driver. If the other driver has questions about the case or would like an update on you, please refer that person to your personal injury lawyer. Your lawyer is best equipped to protect your rights and interests in the case and can help ensure that the other driver — especially in cases of negligent driving — gets all of the information he or she needs. This is a good extra step to take just in case things go badly in your communication with the other driver. Finally, make sure you request the traffic report. Your police officer will collect all of the information of both drivers at the accident site and give you and the other driver contact forms with your phone numbers and addresses. But then he or she files what is known as a traffic collision report. You usually can get this report in a few days either online or via mail. But the police department will not automatically send it to you. You need to take the extra step of requesting it so that you can read it on your own and make sure the account articulated in the traffic collision report is accurate and reflects your account of the car accident. Remember that a traffic accident is not always your fault and that you have a path to seek health and safety in the process. With a little research and some peace of mind, you’re on your way to getting the attention and service you need following a car accident that caused you or a loved one physical or emotional harm. Sometimes it isn’t apparent what is really going on with your body at the time of impact. If you learn that you are hurt hours, days or even months after a car accident, remember these four top tips so that you can manage your help and get the assistance you need. Experienced Attorneys Have Medical Bills?